This was the second option available when I was at Fiddlehead. While there I heard several people in line talking about how they tried this beer at the Vermont Brewers Festival and really enjoyed it. I knew I was going to bring home a growler of it regardless but it was nice to hear the beer was good before I bought it. This is a great looking porter, deep brown with a single finger tan head that disappears quickly. Aroma is mild with only a bit of chocolate and some vanilla. Not a lot happening there but the taste makes up for anything that is lacking in the nose. Lots of chocolate, vanilla and coconut in this beer but it is not sweet as you might think. Really impressed with both beers from Fiddlehead and will certainly be stopping there again on my next visit to Western Vermont. Brewers Description: As wonderful as last winter had been, it was a long one. At the brewery during one such blustery cold morning we began reminiscing of warmer weather and dreaming of sandy beaches and white capped waves we came up with a recipe to merge the two seasons together. 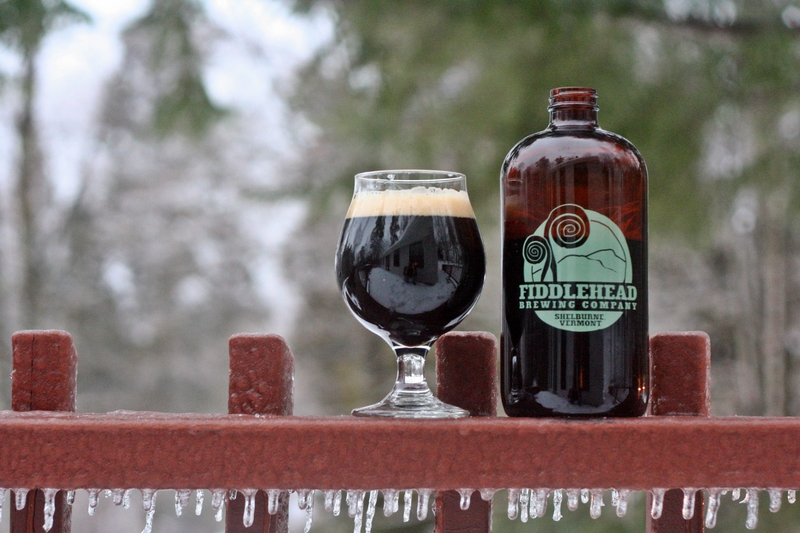 We took a dark beer (more popular in the cold winter months) and infused it with the tropical goodness of roasted coconut flakes and cacao nibs. Delightfully smooth and dark this is pure beer candy. And since none of us at the brewery have ever actually surfed we figured Hodad (the surfer term for the guy who drives to the beach with a board on the car, sticks his board in the sand just to tan and pick up Betties) was the perfect name for a Vermont brewery creating a Hawaiian style ale.